Today, nearly 67% of businesses rely on CRM data for growth. Yet, an astonishing 94% of B2B companies suspect inaccuracy in their database (Zoom). How confident are YOU in the health and quality of the data in your database? If your company collects any sort of data to make critical business decisions, it’s important to use a data cleansing process. A database that is cluttered with outdated, incomplete or inaccurate information could be costing you and your business big time. Data cleansing is a way to spot and rectify inaccurate or corrupt data in your database. By data cleansing you can ensure that the data you’re basing those important business decisions on is correct, consistent and high-quality. A data cleansing process should work to identify errors or corruptions; correct, delete, or manually process issues; and then take whatever steps might be necessary to prevent the same issue from happening in the future. While many of the tasks surrounding data like collection, entry, organization, and analysis, can usually be done through your database software, it’s the process of data cleansing that companies generally find the most time consuming and therefore–forego. 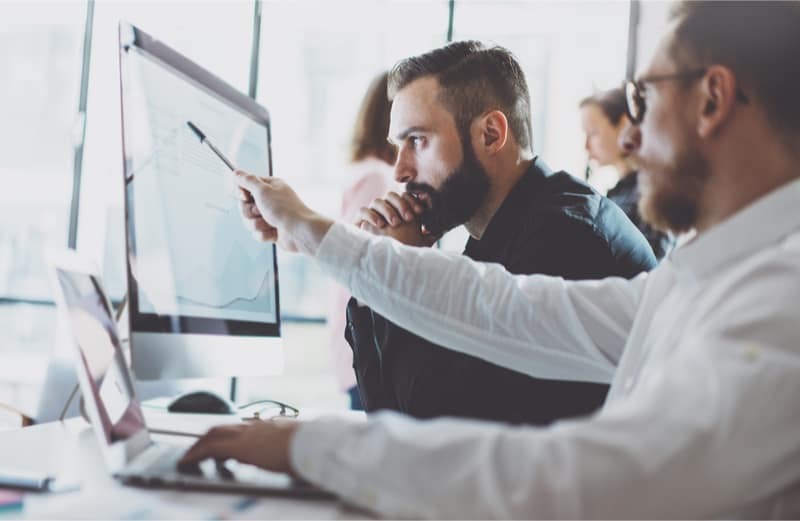 Sure, the manual aspects of data cleansing can seem daunting, but there are ways to tackle the process more efficiently. There are even options if you want to outsource! Once you’re able to see the benefits of having “clean data”, you’re sure to have a different outlook on the process. Scrub the data to the best of your abilities for duplicates, missing pieces, or blatantly inaccurate entries. Create a standardized process for data cleaning and communicate it to your team. Monitor for errors, but more importantly, trends in errors as it may be an indication of a larger problem. Your marketing and sales teams are likely going to feel the effects of having an accurate and complete database more than anyone. Clean data means more efficient and effective marketing campaigns and therefore higher customer acquisition rates. It’s reported that conversion rates are roughly 25% higher between the inquiry and marketing qualified lead stages for organizations that have clean data. The cornerstone of effective decision making in business is customer data. If you think about it, dirty data can negatively influence the way every department in your business makes their decisions. 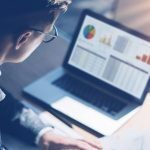 From marketing to customer service, sales to product development–that’s a whole bunch of decisions based on poor data that are likely costing your business. 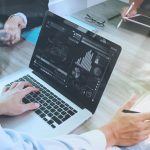 At the end of the day, clean data can support better analytics and business intelligence which will in turn lead to better decisions and the overall success of your business. With real, clean data, you can gain valuable insight into who your customers are. From here, you can improve on your current product or service offerings, marketing or sales methods, even customer service processes–the possibilities are endless. Clean data might even open your team’s eyes to new opportunities within your current market or a new market entirely. This is all insight you might have otherwise missed out on, or been reluctant to trust with dirty data. Having a clean and properly maintained database can help increase overall productivity. With a dirty database, your employees will likely waste time trying to make sense of it all. Not to mention they’ll attempt to contact customers with out-of-date information, or create invalid and useless reports. Clean your data and ensure your employees are making the best use of their work hours. 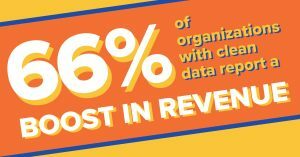 66% of organizations with clean data report a boost in revenue! And with the previously listed benefits is it any wonder why? As an incentive program partner, we make the connection between psychographic and demographic questions and the data collected so you don’t have to. From there we’re able to confidently move forward with approving or rejecting a submission and the delivery of the reward accordingly. We then provide our customers with one thorough report formatted in a way that can be uploaded easily into their CRM, Martech software, or other database. Our data entry and cleansing process allows us to identify typos, mistakes, or incomplete data whether it be the fault of a customer, salesperson, or the incentive program itself. It is because of this that we’re able to provide our clients with high-quality and complete data reports. The way we see it is that many companies don’t have the internal capacity, whether it be time, people, or resources to enter, process, and maintain data, therefore limiting their ability to grow in many aspects. We strive to be the partner our clients need and can trust to do their data “heavy lifting”. It’s important to note that we analyze the data we capture as part of our internal process. Often times, this analysis is what allows us to spot trends our clients might not have noticed otherwise. Our ability to compile data and organize it into a complete, high-quality, and actionable report is the added value you get when working with us–value you might not get when working with other partners. Through thorough and clean data, you have the ability to identify a weak process or even a problem somewhere along the saleschain that needs to be addressed. See how we helped a leading manufacturer in the automotive aftermarket industry with their warranty card imaging, data capture, and data verification when you download the case study. While this client was able to achieve all the benefits of having clean, self reported data, one of the most valuable things we were able to do for this particular client was blend the data from multiple sources to provide a streamlined data report in the end.